Why Rent Self-Storage from Flexspace? Self-storage is a cost – effective, convenient solution to many of life’s storage challenges. Flexspace can offer you a clean, dry, secure, flexible storage space. Do you need to free up space in your business premises? 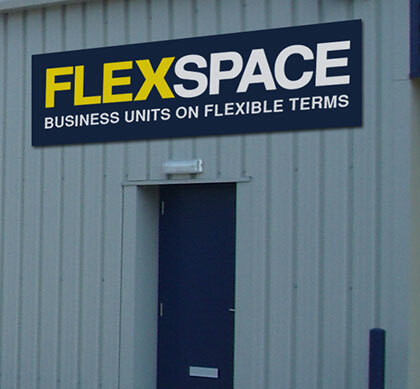 Flexspace provide self storage units to rent on flexible short or long term agreements. Our self storage units are ideal for surplus stock, merchandise or office furniture. You can even archive important documents safely and securely, knowing the documents can be accessed with ease. Moving house or going overseas? As we go through life we often accumulate many possessions. Do you wish you could create more space and feel more organised? Self storage can give you that extra room you need. Perhaps you are moving overseas and want to keep your belongings safe. Whether it’s furniture, family heirlooms, antiques, or maybe your children’s keepsakes that you just can’t bear to part with, self storage is the answer. Flexspace offer a range of self storage units from a locker to a double garage size in 13 locations nationwide. We take security seriously, all of our centres are covered by 24 hour CCTV security and you are the sole keyholder of your storage unit. Our friendly staff are available to advise and assist you. At selected centres we can provide a full range of packaging materials, including boxes and bubble wrap. We can also put you in touch with local removals companies who can bring your goods in to storage for you. Alternatively, we can recommend a local van hire company if you wish to bring your goods into storage yourself. We can provide a full range of packaging materials, from boxes and bubble wrap to sofa and mattress covers. We can supply dust sheets as well as high security padlocks to ensure your unit remains secure. We also have contacts with local removal companies who can bring your goods to storage for you, or take them away when you are ready for them to be returned. We can also recommend local van hire companies should you wish to do this yourself. We can offer discounts for long-term storage as well as our price match promise.